Hey everyone! Hope you are all having a great weekend and a had a fabulus first full week f January. I can't believe we are already 10 days into the New Year! Christmas feels just like yesterday. Scary how fast time goes now that we are older. Anyway, as you can see from the title of this post I am finally back to doing beauty reviews. Yay! I sort of neglected them towards the end of 2014 purely because I didn't have enough money to purchase new products and had to save up for Christmas but today I thought that I would review my absolutely favourite lip balm of all time the Nuxe Rev De Miel Lip Balm. As I'm sure you are all aware this is a very highly coveted product within the beauty community. I have watched countless youtube videos and read numerous blog posts where people talk about their evening routines and this little pot of goodness is also included either on their bedside table or in their bathroom cabinet. I just knew that this was something I had to try and I haven't been left disappointed. This is now my second pot. I did by my first pot last year before I went to Turkey but unfortunately didn't have enough time to actually sit down and review it, so I am doing it now with this newly packaged number. 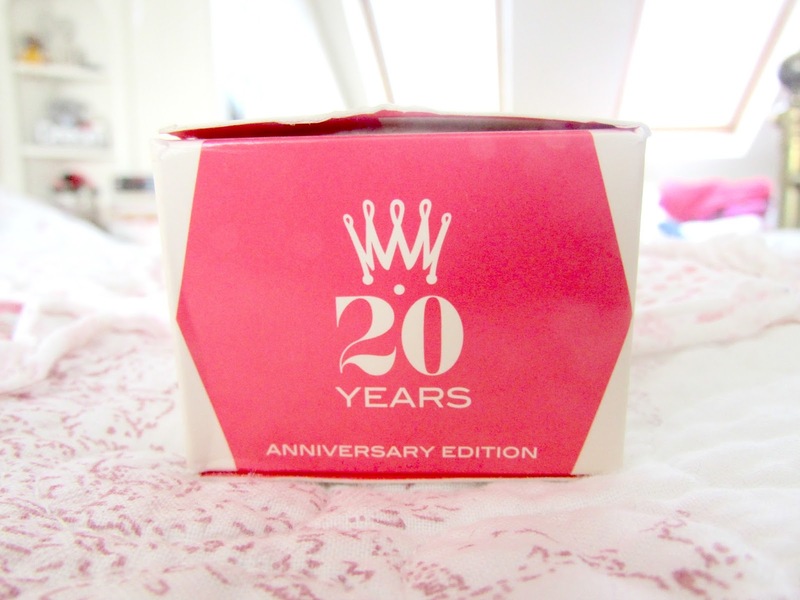 Same product, just 20th Anniversary packaging. What girl doesn't love a bit of pink in a beauty product? It just seemed so much more girly and appealing to me but don't worry the normal packaged product is just as amazing! So first up is the extremely cute packaging. Apart from the incredibly cute pink lid I absolutely love the glass put that it comes in. I just think that this makes the lip balm appear so much more luxurious. I love leaving this on my bed side table and using it before I go to bed. I think it looks so cute and pretty sat there. I love the fact that unlike vaseline tins where it can be a real struggle at times to get the lids off this just screws on and off so it doesn't matter how much hand cream you have on your hands you'll be able to get it on and off no problem. I also love the logo on the lid as well as the standard rev de miel balms come with a plain white lid. The main product itself is amazing. Most lip balms I find are quite thin and glossy on the lips however this is so incredibly thick and is matte. This is one of the first things that I knew about the balm before I bought it and I must admit I wasn't exactly sure if I was going to like this however I was proved wrong. I find the thickness of the balm so much more nourishing and long lasting on the lips and this is definitely something that I love. I think this is perfect for using at night before you go to bed as it really nourishes your lips and gets rid of that awful dryness that I used to wake up with before discovering this. I think that this is all due to the ingredients within the balm that are honey, plant oils, shea butter and grapefruit essence. These not only help hydrate the lips but also help, repaire, sooth and protect the lips as well. This makes it absolutely perfect for the winter season as my lips get ridiculously chapped. 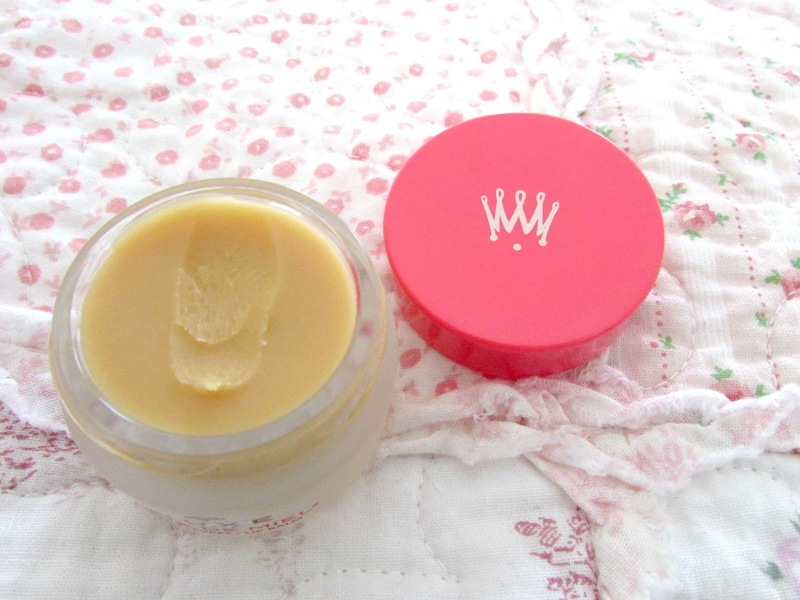 The honey scent within the balm is simply heavenly. It's lovely and sweet but not too overpowering and is perfect for using every single day. I could not recommend this for those of you who suffer with chapped lips more. The thickness of the balm might take some getting use to as it did for me at first but it's definitely something that I use every single night. The above pot is actually my second pot of this now and I absolutely love it. One interesting and absolutely amazing fact about this pot is that one is sold every 28 seconds throughout the world! Pretty amazing statistics. If that doesn't tempt you then I don't know what will! You can purchase the lip balm for £9.50 on the feel unique website HERE. 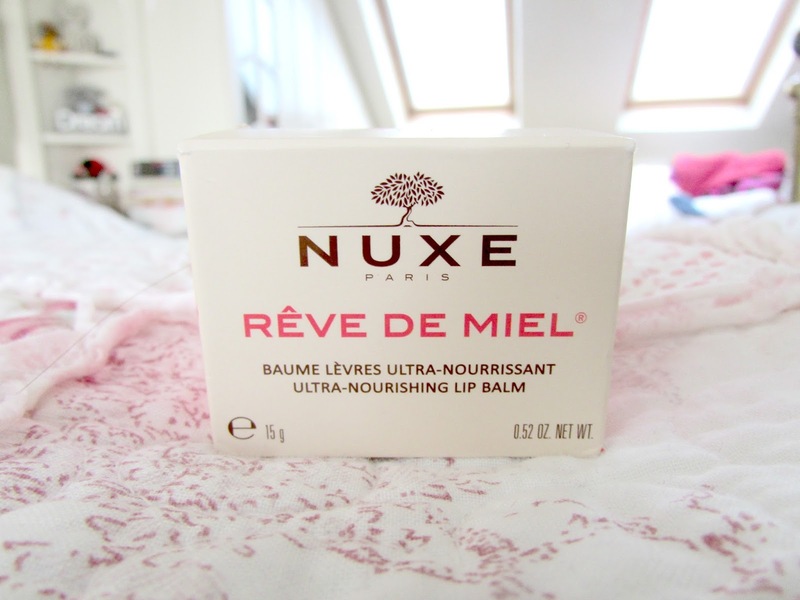 Have you used the Nuxe Rev De Miel lip balm? What are your thoughts?